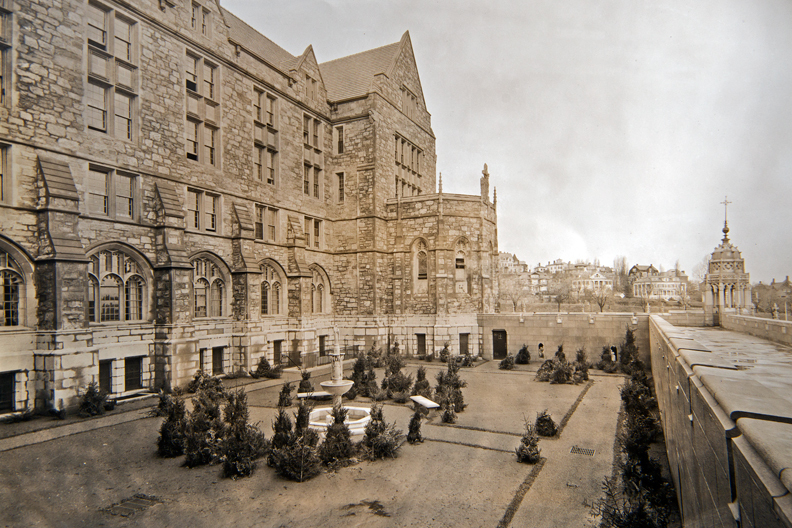 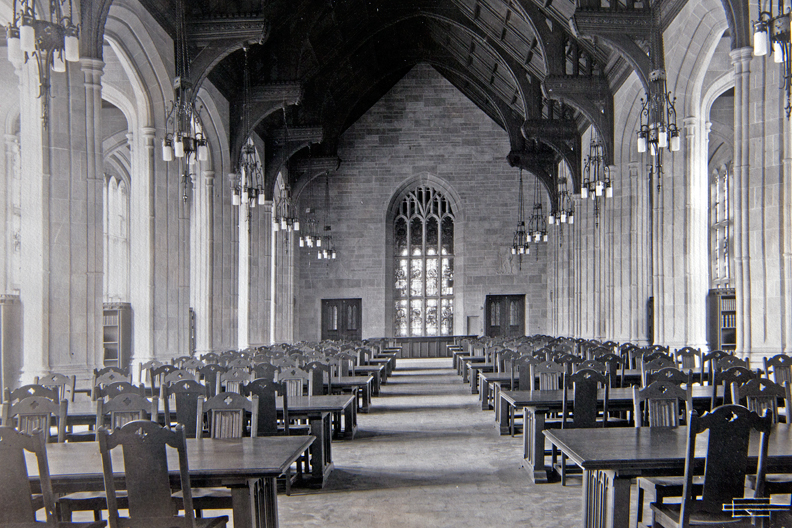 Between 1917 and 1934, a professional photographer named Clifton Church wandered Boston College’s fledgling campus in spring mud and winter snows, capturing images of its land and buildings—Gasson, Devlin, St. Mary’s, and Philomatheia halls, and Bapst Library. 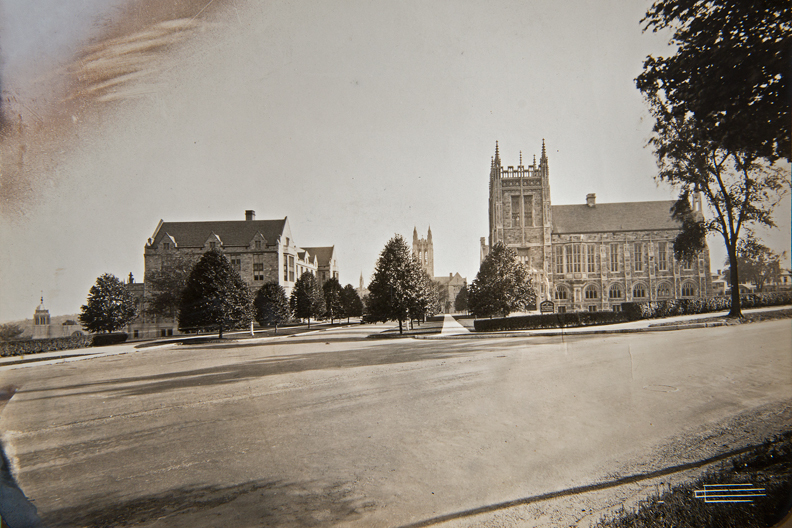 A few dozen photographs survive: in a Burns Library Archives scrapbook, in the University’s 1919–20 academic catalogue, and in a 1937 report of the New England Jesuit Province sent to the order’s superior general in Rome. 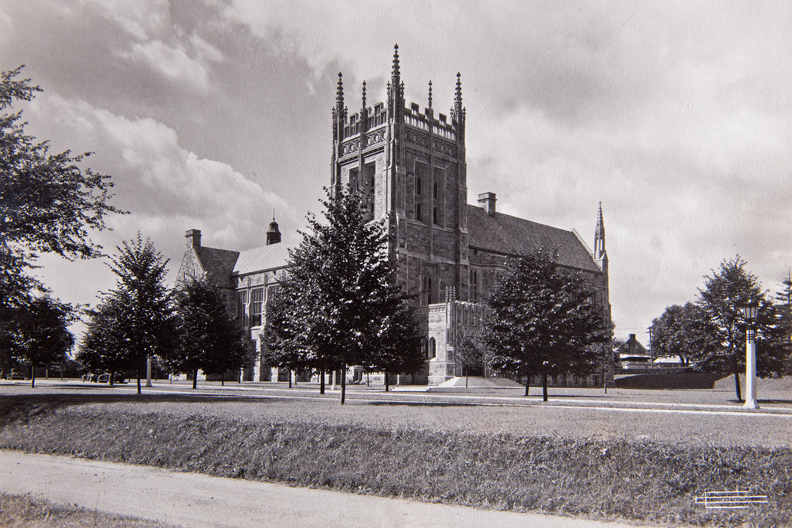 Little is known about Clifton Church. 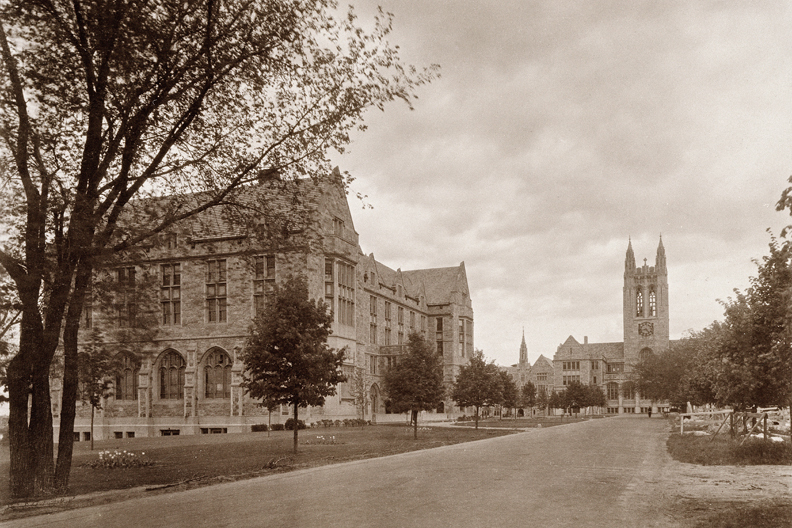 According to the U.S. Census, he was born in Fairhaven, Massachusetts, in 1856. 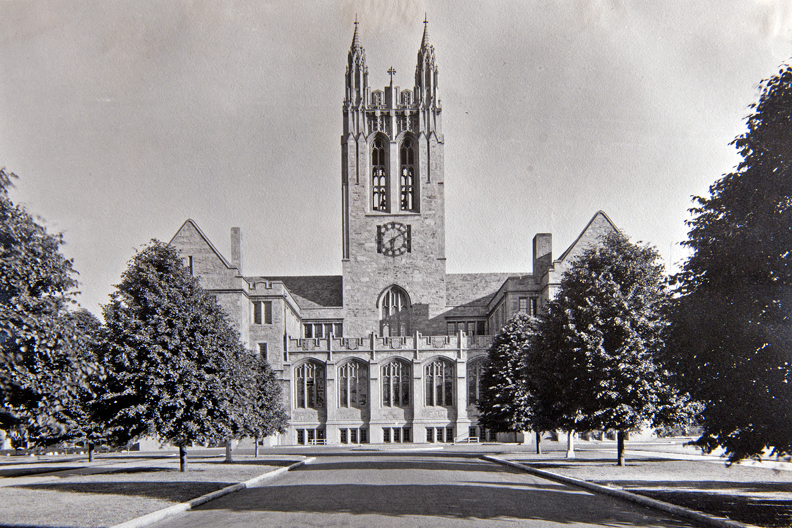 He was a proud 1873 graduate of the English High School of Boston—the Boston Globe regularly listed him among attendees at reunions, including his 65th. 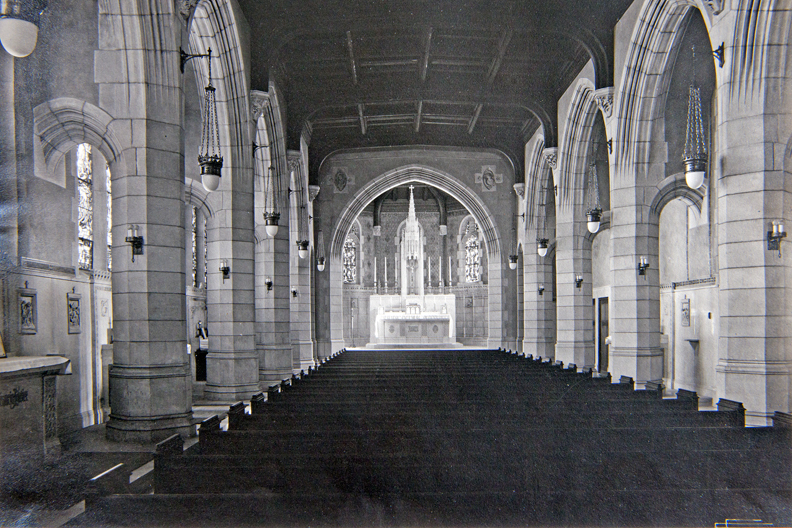 The Globe also reported in 1926 that Church’s speed record for covering the 50 miles from Providence, Rhode Island, to Boston on foot (10 hours flat) had been broken; Church held the record for 51 years, the paper said. 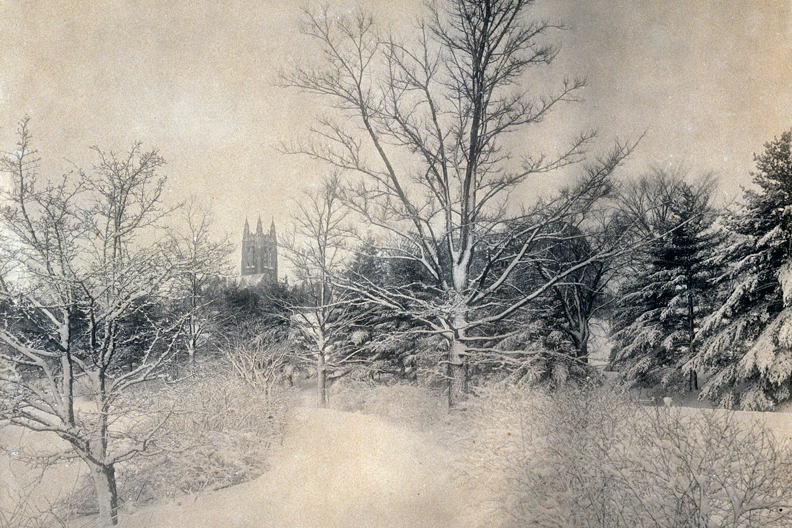 According to Biographies of Western Photographers (1997), from 1891 to 1900 Church operated a portrait studio in Dallas, Texas, where he published Dallas, Texas, Through a Camera (1894), a book of 84 black-and-white photographs of streets, buildings, and foliage. 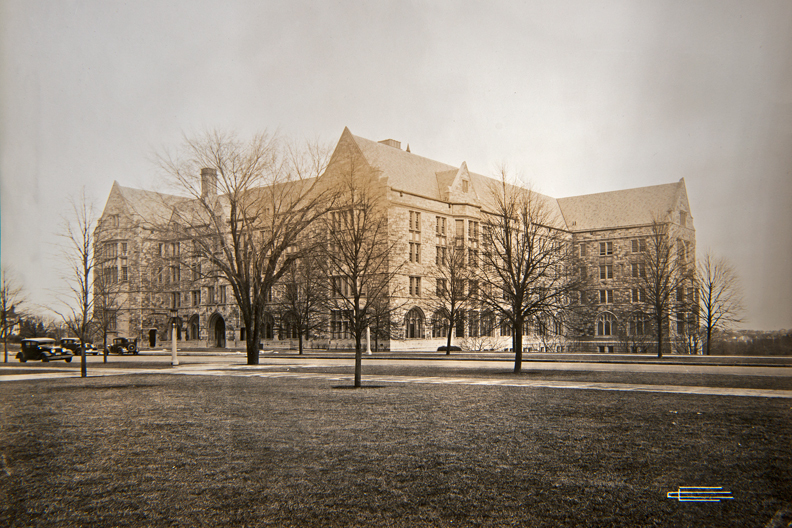 The 1910 Census reports him as living in Washington, D.C., and the 1920 and 1930 editions place him on Claflin Road, in Brookline, Massachusetts, with his wife, Katharine. 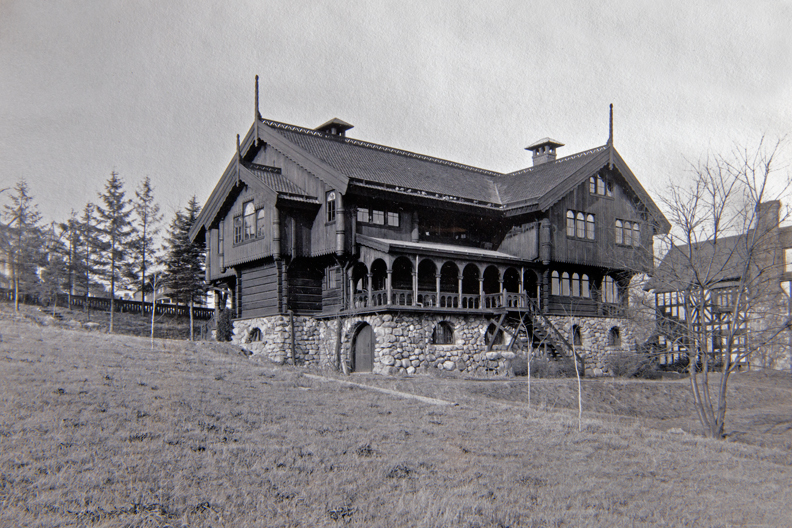 They, or he, occasionally stayed at the Eagle Mountain House in Jackson, New Hampshire, where Church used the hotel darkroom to print photographs of the inn that remain on display in its lobby. 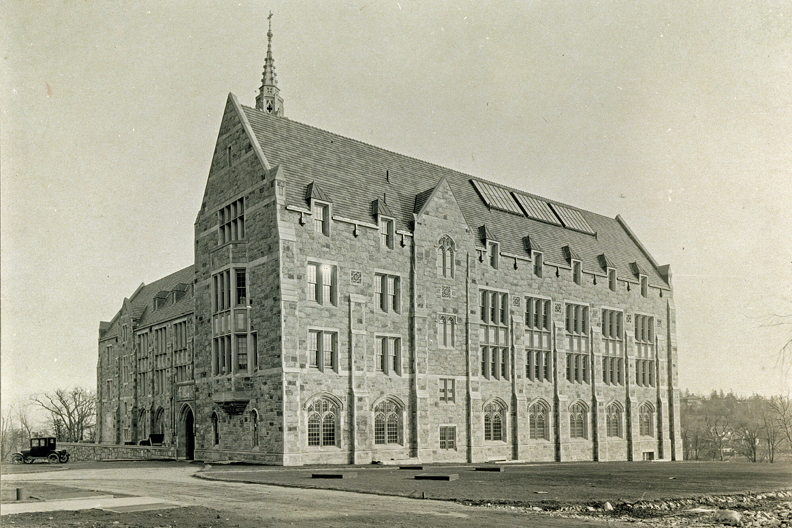 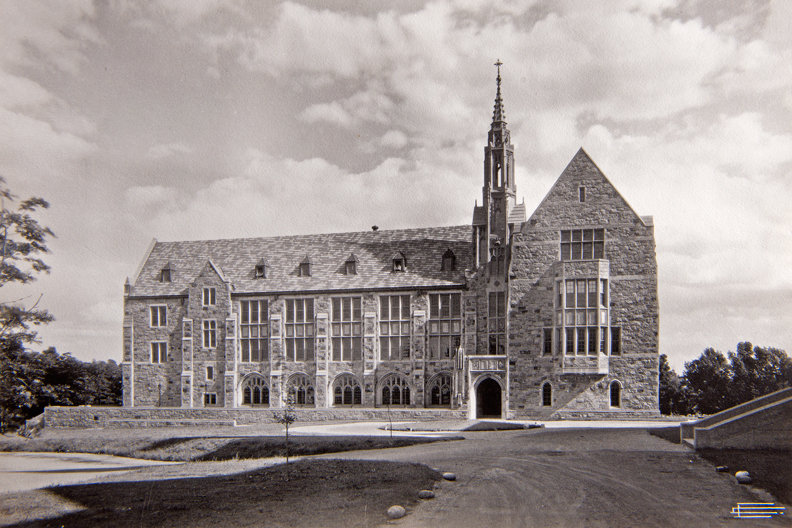 The campus that Church photographed in Chestnut Hill lacked dormitories (until 1955) and must often have been quiet. 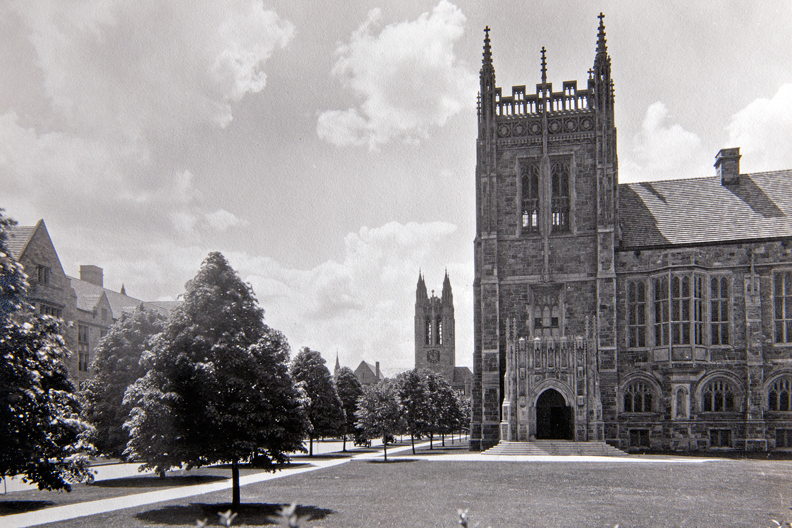 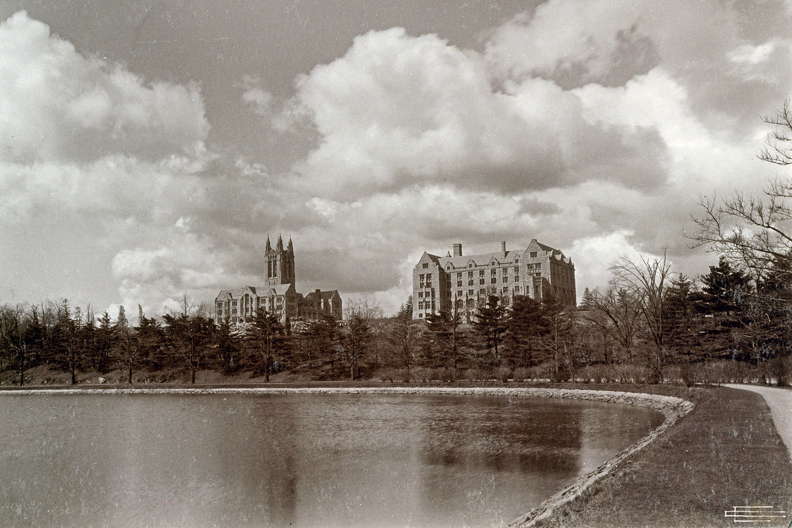 His stark, unpeopled images render a young Boston College both familiar and full of promise. 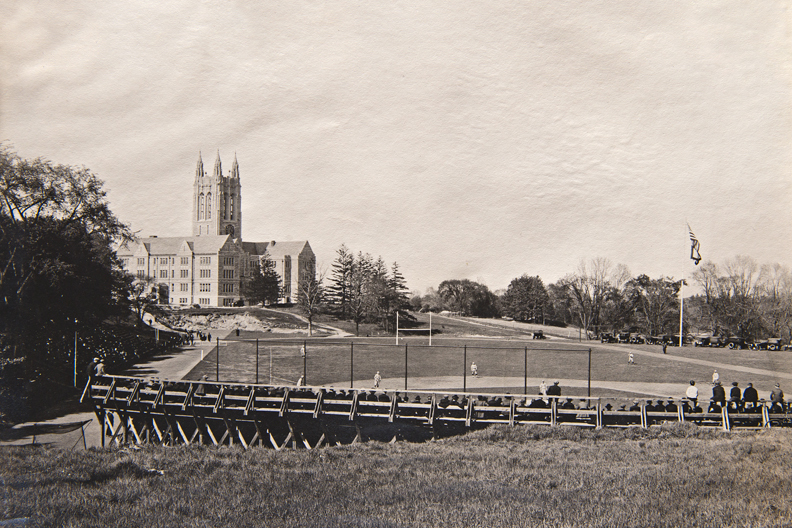 This feature was posted on Wednesday, October 17, 2012 and is filed under Slideshows. 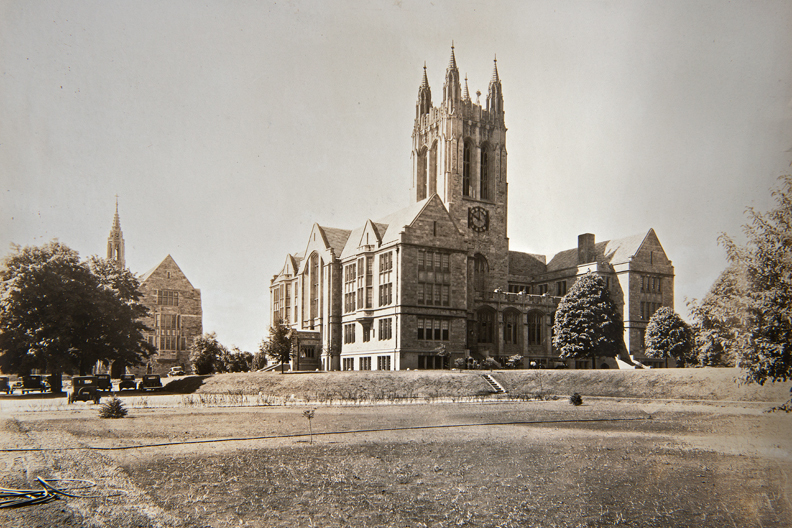 More Clifton Church photographs of Boston College may be viewed via the Burn’s Library photo stream on Flickr.